When it came time to nominate someone for an esteemed position for the Construx Nunchux family of amazing human beings, the choice was easy. With the majority vote of 2-0, Ian, and I would like to welcome Andrew WK to our loving arms and being the third ever inductee to construxnunchux.com. He has given so much to humanity with his party first cure all for all the worlds ailments, and his immeasurable contribution to the well being of everyone around him. In may 1979 a legend was born, Andrew Wilkes-Krier first reared his head and shouted to the world that he has arrived. For little Andrew, his destiny was indeed written for him already, although he did not know it yet, he was the man who would inevitably save the world. It wasn't until 1993 that Andrew wk dove head first into music with his first band, Slam. He was young, full of energy, but lacked the energy to really make his music mean anything. He bounced around playing in an estimated 15 different bands throughout high school. 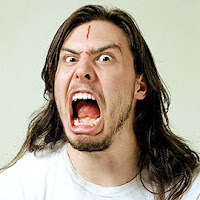 During his senior year, Andrew wk was thinking about his future, and was convinced that it did not include music. It was then when he got his first visit from world renowned time traveler known only as "Rufus". Rufus first came to A discouraged Andrew outside a Kroger store, interrupting his grape Slush Puppie. Rufus came out of his time traveling phone booth, and began to explain to Andrew that his music career is essential to the preservation of mankind. He then convinced a skeptical Andrew into the time machine and disappeared into a fiery hole in the asphalt. One would assume (as Andrew wk is notoriously tight lipped about his time travel) that Rufus showed him a future without his music, in a humorous "its a wonderful life" scenario. 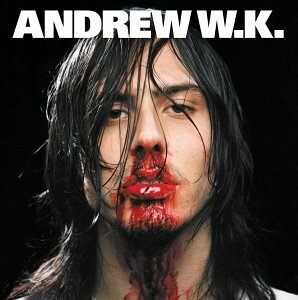 Historians will however pinpoint the summer of 1997, the miraculous beginning of the Andrew wk that we now enjoy today. In 1998 Andrew wk moved to new york city, inspired and ready to create music. Unknown to Andrew, what would turn out to be his rival Steev Mike would travel back to 1998 to befriend him and try to ruin his budding career. 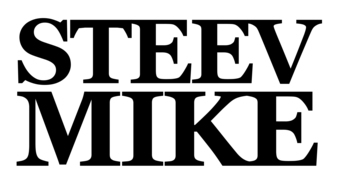 After a very physical argument in the studio while recording " i get wet" Steev Mike left the studio vowing revenge and would be seen until the album's release. In 2001, i get wet was released and was a huge success. Steev mike returned during the album release party, and demanded producing rights. Andrew wk confronted Steev mike and the battled again, as both of them did an estimated 1300 dollars worth of damage to the studio suite. As Steev mike went to retreat for the second time, Andrew warned him again to stay away from him, and his career. "You know how much I love your music, because I created it. You know that I love the way you look and act and talk and sing and dance because it was born in my brain." The message goes on to say: "Your recent efforts to exclude me from the 3rd album material will not be tolerated. I did not work for the last year on these new songs in order toi have you break promises." and later: "If you refuse to comply, I will have no choice but to let the world know that you’re a backstabbing fraud." Andrew wk hunted down Steev mike and confronted him again this time taking the fight to the year 1886. The two combatants fought in the middle of what would have been considered times square. Andrew wk end the fight by hitting Steev mike with a nearby rock rendering unconscious. Andrew took the only time machine back to 2004, thinking Steev mike would be trapped in 1886 forever. Riding a successful wave of positive business decisions, Andrew wk was building in influence and popularity. He was riding high, until he was floored with an email sent to him by his manager. In December 2009, a lecture recorded at Madame Jojo's in London in September 2008 was published online. In it Andrew W.K. claimed that the Andrew W.K. persona was created by a committee including himself, his father, and other individuals, and that he was the "next person playing Andrew W.K." Claiming, "I'm not the guy you've seen from the I Get Wet album... I'm not that same person. I don't just mean that in a philosophical or conceptual way. It's not the same person at all." Andrew W.K. later went on to clarify that he believed that he, as well as his fans that have followed him since the original album, have become "different people." He went further on to say: "Andrew W.K. was created by a large group of people. They met, and I was there, and we talked about how we could come up with something that would move people. It was done in the spirit of commerce. It was done in the spirit of entertainment, which usually goes hand in hand with commerce. I was auditioned, along side many other people, to fill this role of a 'great frontman', 'a great performer'. On the one hand it may be a little scary to admit this to you all, that I may not be exactly who you thought I was, and that the guy who was, in fact, first hired as Andrew W.K. is a different person than the guy sitting here on the stage tonight. I'm the next person who is playing Andrew W.K." Andrew wk was of course floored as he realized only one man could have been behind this, Steev mike. Andrew searched the country, but could not find Steev who had gone into hiding. A skeptical andrew wk went on with his career debunking the report publicly. The rumors continued to build, so Andrew wk invited his fans to an open forum for a q&a session to address these rumors. While answering a question about his new project he spotted Steev Mike hidden in the audience, admiring his sabotage job. Andrew knew this was his chance to end this rivalry once and for all. He lunged at Steev Mike with a steel toed boot leading the way. It was during this fight where Andrew wk killed Steev mike with suffocating guillotine choke hold. This incident was the last recorded appearance of Andrew WK's arch rival. Andrew WK's song "party party party" was used during the Great Robot War of 2054 to rally the troops fighting for our liberation. The war ended in stalemate in 2058, and Andrew WK's song was widely considered one of the biggest influences on the two great land battles that resulted in human victory, saving us from total defeat. Scientists were intrigued that a 50 year old song was not only relevant, but important. It wa s determined that Andrew's entire catalog of 28 full length albums transcended the generational gap, and spoke to todays youth. His music promoted peace, and prosperity for all who listened to it, and Andrew's career got an unexpected shot in the arm. It was said that the first "Church of Wk" was founded in 2060, and grew to 21 on the east coast in 2062. It was said by 2068 it was the third biggest religion in the united states. Sadly Andrew wk would not live to see his influence spread worldwide as a religion and philosophy, as the 90 year old rocker passed away in a horrific partying accident in his Venice mansion. 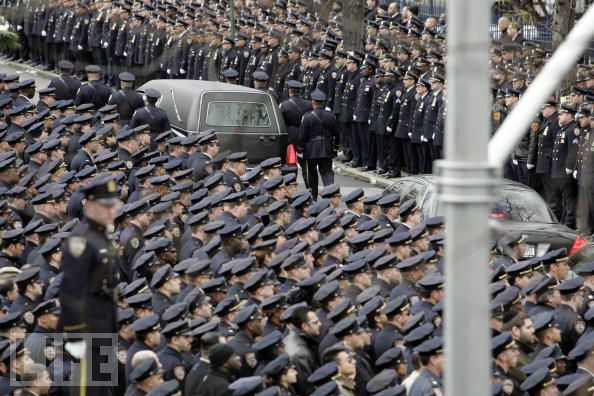 The funeral was held in New York City drawing an estimated 2.5 million mourners to the Big Apple. The lines formed to see the service was said to have stretched over 17 miles down the heart of the city, causing the procession to last close to 13 hours to pass all the people. We at construxnunchux.com salute Andrew WK for saving our way of life 43 years from now,and the wonderful contributions you have made to our way of life in present day. Welcome to our family, sir, you've earned it.